Brest railway station. Photo courtesy of the author. All rights reserved.It’s night in Brest. At this hour there isn’t a soul on the streets of this small Belarusian town just a few kilometers from the Polish border. Two men silently exchange glances and cross the bridge over the railway tracks, braving the strong wind. Down there, from the immense Stalin-era railway station, they look like two black dots. 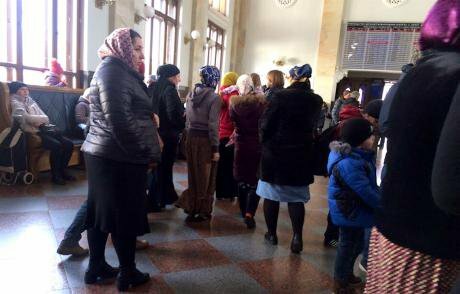 At the crack of dawn, a woman in her early sixties approaches one of the families, gives them train tickets from Brest to the Polish border town of Terespol and explains how to behave at the border crossing point. The children listen attentively. Early in the morning they will head for Poland again, hoping never to return to Chechnya. This isn’t their first attempt, and it probably won't be their last. Viachaslau admits he knew nothing about Chechens when he first arrived here. 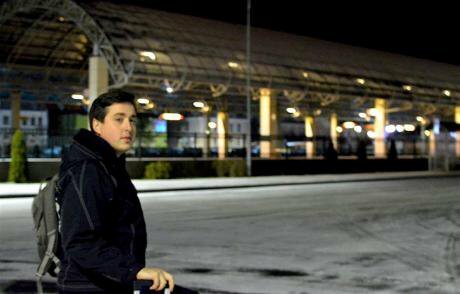 Two years ago, he was a third-year student of the University of Minsk. However, he wasn't able to receive his bachelor’s degree: he was expelled from the university for political reasons. As a “political undesirable” of sorts himself, it may be no surprise that Viachaslau found common cause with the Chechens. Oleg Khabibrakhmanov. Photo courtesy of the author. All rights reserved.Currently, Russia is among the top ten countries by number of applicants for refugee status in Europe, and 80% of Russian asylum-seekers are from Chechnya. According to EASO, during the first nine months of 2017, 16,245 Russian citizens applied for international protection in the EU. “You think they'd better stay in Chechnya and wait until a mother finds her son killed after yet another torture session?” I exclaim, but she interrupts me. Photo courtesy of the author. All rights reserved.“I begin every morning with a prayer; I open the Quran, children stand in a circle with me and we pray. We sing the unofficial anthem of Chechnya in Сhechen, then we have Russian and Polish language classes. I teach children that being cheerful isn't shameful. A place of schooling is irrelevant; if it happens to be a train station, alright, let’s do our best to make it lively,” says Hulia. 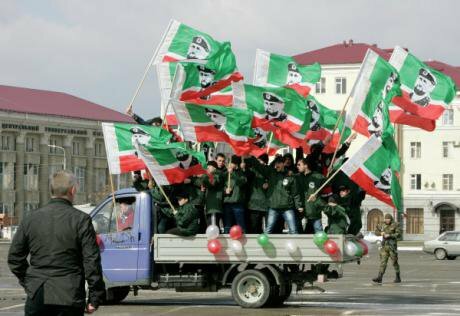 Members of the patriotic club "Ramzan" during the festive procession dedicated to the Day of the Constitution of the Chechen Republic, 2012. Photo (c): Said Tsarnaev / RIA Novosti. All rights reserved.After he refused to go and fight in Ukraine, Mahmud was accused of anti-Russian sentiments and demoted. 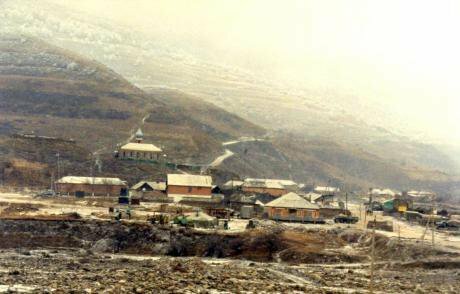 Itum-Kale village, southern Chechnya, 2011. Photo CC-by-2.0: Vladimir Varfolomeev / Flickr. Some rights reserved.